Valley of Chicago brethren know that charity is one of the great virtues of the Masonic Fraternity. Our Valley practices this virtue through the Scottish Rite Almoner’s Fund, Inc., a 501 (c)(3) nonprofit charitable organization. Together with endowed income, donations keep the Almoner’s Fund replenished and ready to assist distressed worthy Scottish Rite Masons and their loved ones in need. In fact, the Almoner’s Fund is consistently our Valley’s most popular program, in terms if percentage of membership support. Even in the harsh economy, participation has increased, not just in amount donated, but the number of members donating even modest amounts. May God bless these brethren! The Scottish Rite Almoner’s Fund, Inc. was incorporated in 1965 to assist worthy distressed brother Scottish Rite Masons and their loved ones. Over the years, we have succeeded admirably in that regard. Sometimes we are called upon to help a brother maintain the necessities of life in time of dire need. Or we may assist a brother’s widow as she struggles to manage her husband’s end-of-life affairs during a time of great stress and grief. Referrals to the Almoner are confidential. A discrete inquiry will promptly follow a referral and, if found worthy, assistance will be granted as appropriate for the situation. Under no circumstances does the Almoner disclose the identity of anyone in distress so as not to cause them embarrassment. And always, those receiving assistance express profound gratitude to the brethren who made this welcome assistance possible. It is often apparent it was one of the most moving experiences of their lives. Donations may be made by members at any time or via dues payments, annual appeals, bequests, and other gifts. Donations from non-members, non-Masons, private foundations, and charitable institutions are also welcome. Donations are tax-deductible to the extent provided by law; all donors receive acknowledgement to that effect. Donations may be “dedicated” (i.e., to the memory of a loved one); please indicate at the time of payment. 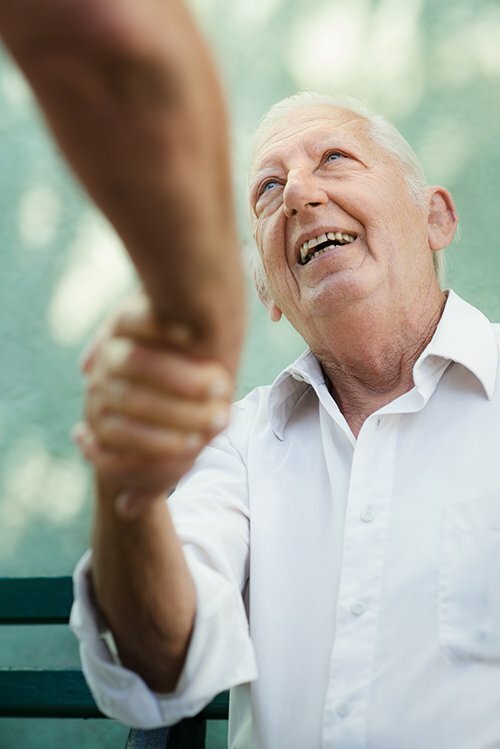 Donations may be “restricted” such as for medical supplies or funeral expenses; however, unless specified otherwise, all donations are considered “unrestricted” and are particularly appreciated as this allows the Almoner the flexibility to disburse funds for the most effective purpose on behalf of recipients. Donors are acknowledged by having their names printed in an issue of the Scottish Rite Magazine. Donors may remain anonymous upon request, please indicate this preference at the time of payment. 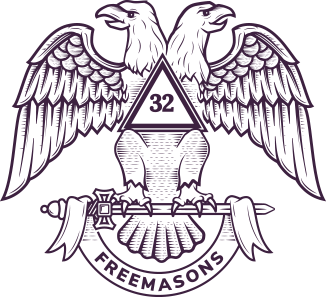 Scottish Rite Almoner’s Fund, Inc. Annual dues notices to members of the Valley of Chicago are mailed out in August by the Supreme Council in Lexington, MA. In addition to indicating dues owed, the payment form includes an option to include an Almoner’s Fund donation. Please consider writing in whatever amount you can afford! If paying dues online by credit card through the Supreme Council’s Member Center you may include an Almoner’s Fund donation to your Valley, but the system requires that dues payment be processed prior to any charitable donation. Donations via electronic payment services such as PayPal are not currently accommodated. Each year in November, the Almoner’s Fund sends a letter to the members of the Valley of Chicago encouraging them to consider donating. This mailing arrives in a colored envelope and includes a reply card to indicate donation amount and credit card information plus a return envelope. Keep an eye out for it! The Valley of Chicago Cathedral is located at 383 East Lake Street, Bloomingdale, IL 60181-1191. The office is open from 8:00am – 4:00pm weekdays except federal holidays. Members are welcome to stop by, and it is suggested that you call in advance (630) 439-3400 to verify that the office is open and the staff is available to process your donation. Some of the most enduring acts of charity have been made by brethren who have passed away, via their wills. Should you wish to include the Scottish Rite Almoner’s Fund in your estate planning, please contact the Almoner who will provide the necessary legal documentation to formalize your generous gift. With limited exceptions, the Almoner’s Fund may accept non-monetary “in-kind” donations of goods or services as permissible by law, such as vehicles, clothing, or non-perishable food, as well as home repair, snow removal or local transportation assistance. Should you wish to discuss a donation, please contact the Almoner.